Link-Up (NSW) supports the healing journeys of those who have been separated from their families and culture due to past government policies; delivering professional, culturally sensitive and confidential research, reunions and Social, Emotional and Wellbeing services to those over the age of eighteen. 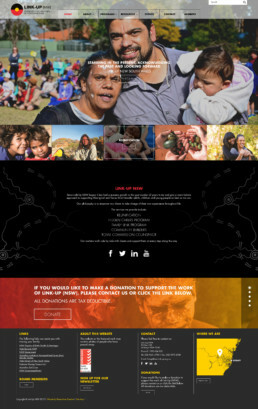 Dreamtime Creative has worked closely with Link-Up NSW on many projects, the most recent being the design and development of their new website. 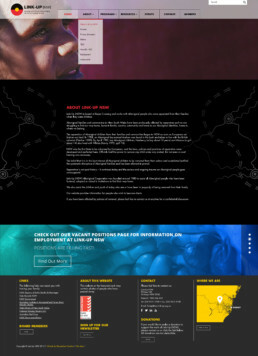 The website included a photo gallery, event calendar, donation button, search engine optimisation, and google analytics. Once the website went live, Dreamtime provided training to staff so they could edit and upload content themselves.